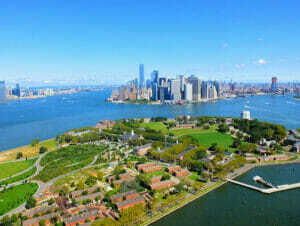 Governors Island New York is a small island 5 minutes away from Downtown Manhattan. The island is the place to escape the urban jungle, to have a stunning view of that urban jungle, and to enjoy cultural activities in summer. 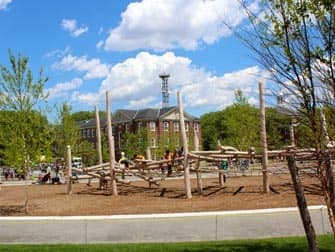 There is a grove of hammocks, two ball fields, a formal garden and play areas with spray showers among others. The island is open for the public 7 days a week, from May 1st until the end of October. On Memorial Day, July 4th and Labor Day, the island is open as well. 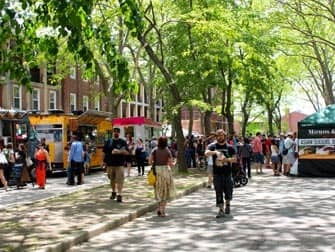 The management board of Governors Island puts together a different program each year, together with contributions from many of New Yorks’ cultural institutions. There are often a number of exhibitions, concerts and art and cultural markets. The events calendar can be viewed several weeks in advance, here. You can also play mini-golf on the island (with an annually changing course theme), or take a tour about the history, development and future of the island. This tour takes about an hour. 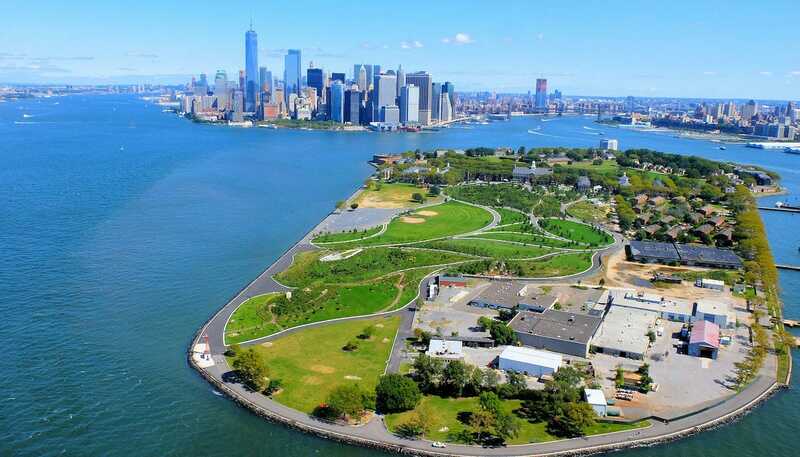 From the 1st of May until the end of October, there’s a daily ferry service connecting Governors Island to Manhattan. 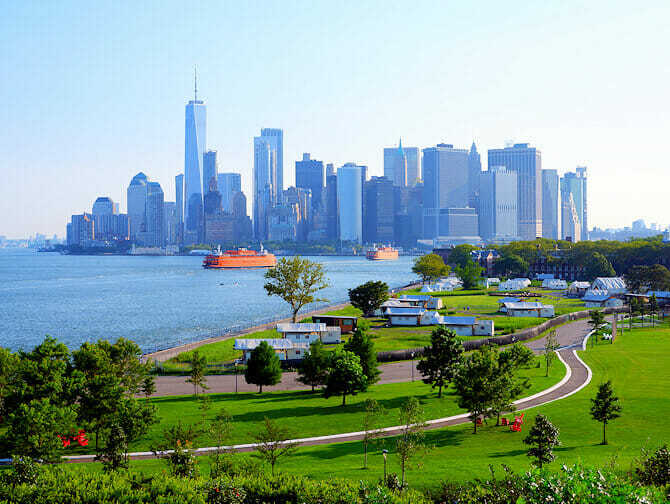 The Governors Island Ferry departs approximately every hour on week days and every half an hour at the weekend, from the Battery Maritime Building located at 10 South Street, (just east of the Staten Island ferry) in Lower Manhattan and costs $3. During the summer weekends you can also take the NYC Ferry. 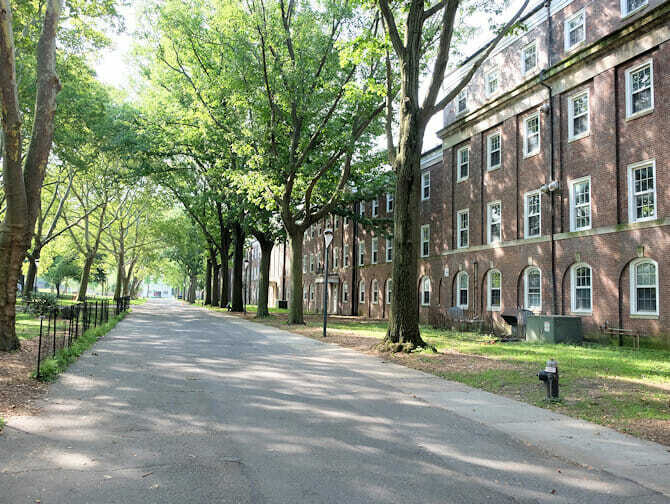 Between 10:00 and 17:00 the East River Route and the South Brooklyn Route go to Governors Island about once per hour.